The foot-care program seeks volunteers, especially registered nurses or retired care specialists with a medical background. For more information, email deonna@saintandrechurch.org. 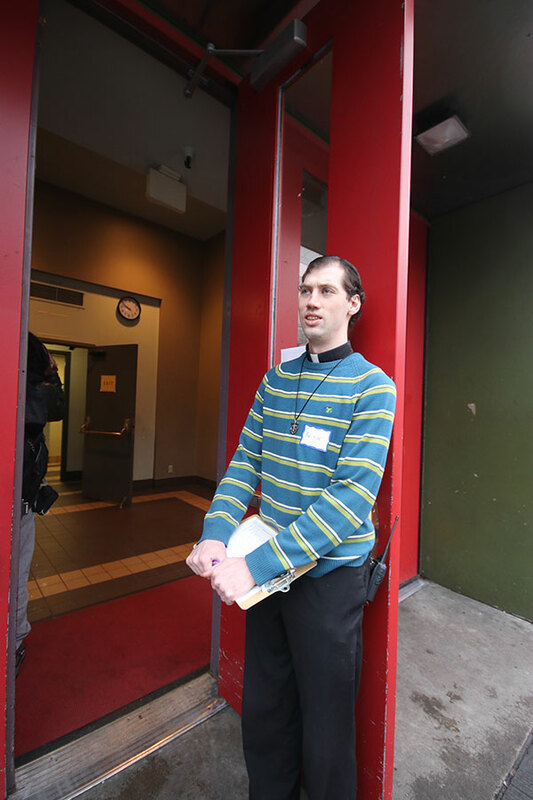 It was a recent Wednesday morning and Rodger’s first visit to the weekly foot-care ministry in the basement of St. André Bessette Church in downtown Portland. Here a team of nurses and volunteers tend to those who spend their days thinking about shelter and safety — not what’s best for their feet. 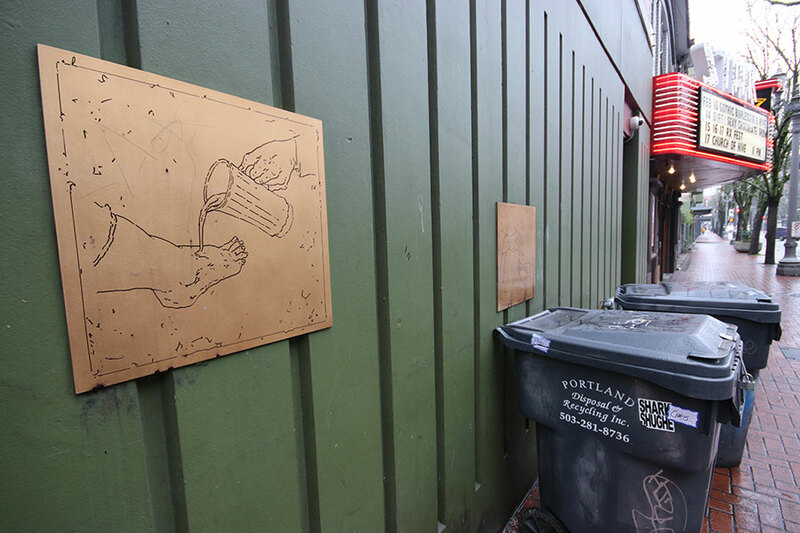 Many foot-care guests at St. André have old or ill-fitting shoes, and Portland’s soggy winter weather takes an additional toll on foot health. “Most people take it for granted that when you get wet, you change into a dry pair of socks and shoes,” said Brother Joe. The homeless don’t typically have that option, and constant moisture causes a variety of discomforts. For years Christenson worked downtown and attended Mass at St. André. One day after Mass she saw a homeless person with no shoes. “God, help me live long enough to help someone like this,” she recalled thinking. After retiring, she began the foot-care ministry with a Catholic couple. 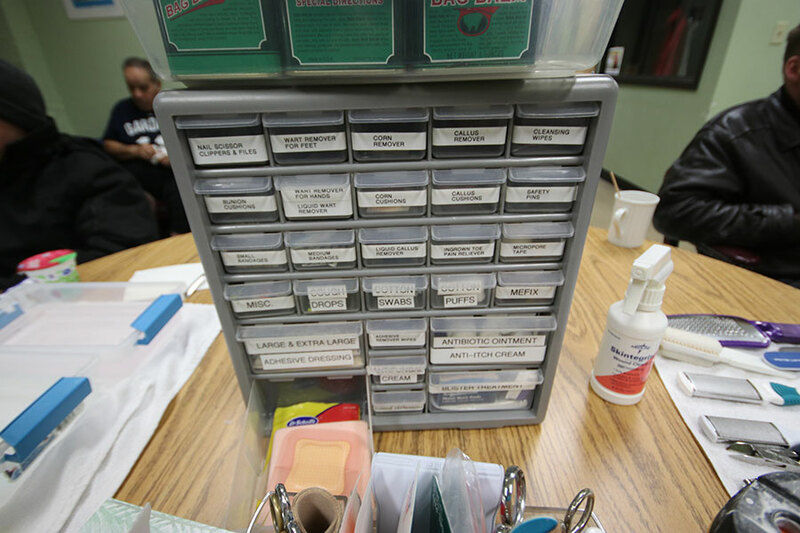 Along with the nurses, the handful of current volunteers — who come from throughout the region — include Clackamas Community College nursing student Elise Realivasquez and longtime St. André parishioner Gwen Dulley. The team has the capacity to serve about 10 guests each week. There’s a great need for homeless services of all sorts downtown. Four years ago, the City of Portland declared a housing and homelessness emergency, which is still in effect. The fastest-growing populations on the streets are African-Americans, women and older individuals. 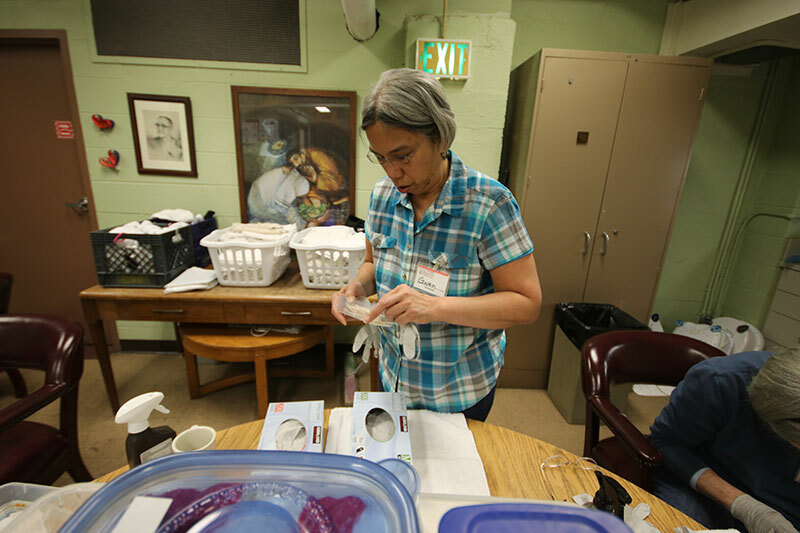 Foot care is one piece of the parish’s larger effort to serve the poor and homeless. St. André offers food and coffee five days a week and distributes hygiene products. Volunteers give haircuts. There’s even dogfood on hand for beloved pets. Reflecting the larger homeless population, a number of St. André’s guests are mentally ill. A 2016 report by the U.S. Department of Housing and Urban Development indicated that nearly 20 percent of America’s homeless individuals have a severe mental illness. Christenson and Jackson said the foot care is a means to a more important end. “It’s about hospitality, about the relationships that are formed,” said Jackson. Great Ministry! This comment has been hidden due to low approval.